In 1987, Kent and Joan Enderle unveiled the first ever "Enderle Pull-Off" at the Ohio State Fair in Columbus, Ohio. 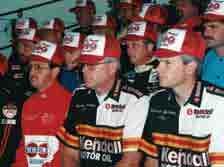 It was to reward competitors for their support of Enderle Fuel Injection. 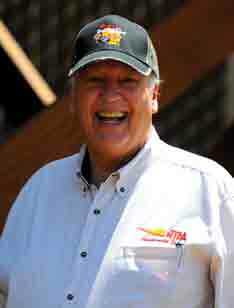 Kent Enderle patterned the event after one of the NHRA's major programs. The first Enderle Pull-Off was a rousing success. It saw thousands of fans witnessing fifty of the top NTPA competitors lay it on the line for an Enderle purse of $17,800.00. This year's purse is a record amount of over $101,000.00. Over 1.4 million dollars has have been paid out by Enderle Fuel Injection of Simi Valley, California, makers of premium fuel injection technologies found in all types of motorsports, in this special bonus program. 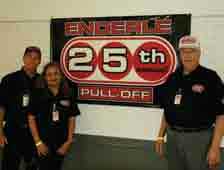 In 2017 the event will be named the Enderle Memorial Pull-Off to honor the founders, Kent and Joan Enderle. 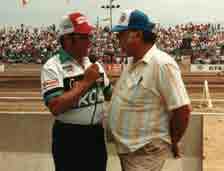 1987 - John Fairbanks, Sr.
1989 - John Fairbanks, Sr.
1992 - Manuel Moreno, Jr.